Alonso Accuses FIA of "Manipulation." 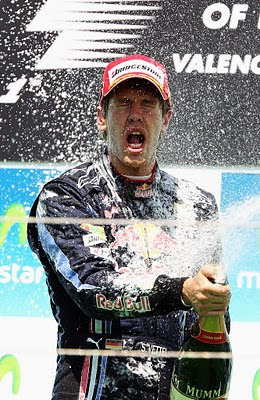 VALENCIA, SPAIN – The Spanish Grand Prix is being termed by some as “one of the darkest chapters of modern Formula One.” A horrific accident involving Mark Webber in the opening laps of the race was caused when Webber tapped Kovalanien’s Lotus which sent him airborne slamming him into the tire wall. By God’s grace, Webber was able to walk away from the accident unhurt, but the events following the accident has resulted in reports on the Ferrari’s official website quoting fans as saying Hamilton is a liar and a cheat, McLaren "thieves", and the FIA a "Federation of clowns". 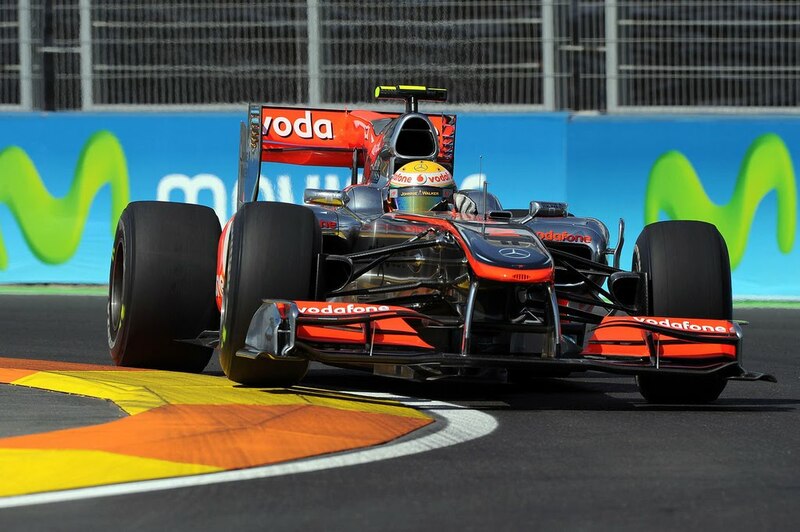 In fact, Fernando Alonso even accused the FIA officials as “manipulating” the outcome. 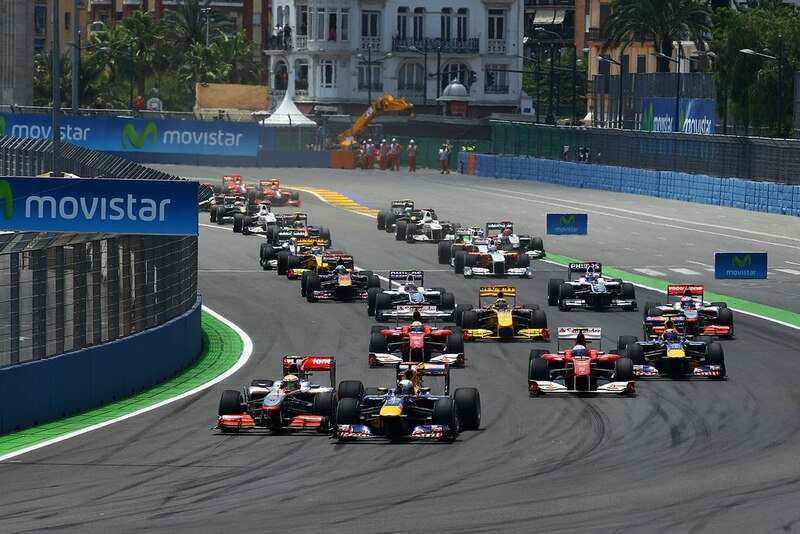 Nine other drivers were handed out 2 second penalties for driving too fast behind the safety car. 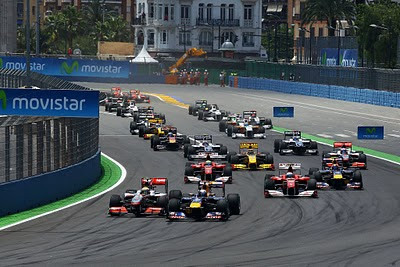 This was little satisfaction to Ferrari as it moved Alonso only 1 spot from 9th to 8th place. Webber’s teammate, Sebastien Vettel need not make any apologies as he was the dominant force of the race winning from the pole position. “We had a sensational race weekend last year and we try to repeat that. One more thing. Most important of today is the fact that Mark (Webber) had quite a big shunt but he is fine. It shows that the cars get safer and safer but still there is a lot of risk. I am happy. I asked on the radio, so I am happy to hear he is all good.” At least there was one class act in Valencia. 1-2-3 For Audi and Heartbreak for Corvette Racing. LE MANS, FRANCE – 24 hours is a long time in racing, and anything can happen at any time. The championship defending Peugeot LMP1 cars started 1st, 2nd, 3rd and 4th on the grid and had an amazing run that day and into the night. During an interview with Romain Dumas, the Speed commentator prophetically asked if the Peugeots could keep up their amazing speed during the whole race. 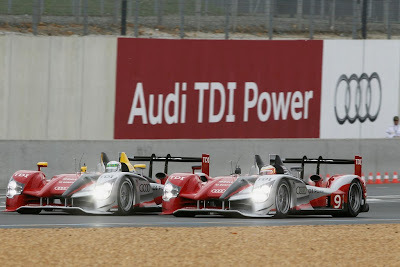 Dumas replied that he did not know, but that the Audi teams just need to concentrate on running a clean race. Well, that strategy certainly paid off as the Peugeots one-by-one began to drop out of the race. First, the pole-sitting #3 car of Pedro Lamy dropped out with a suspension failure. Then, in the early morning hours, Montagny’s entry retired. With only two hours to go, Wurz’s Peugeot dropped out with an engine failure. Finally, the Oreca entered Peugeot had to drop out leaving the victory to the Audi contingent. The 3 factory Audis swept the 1, 2, and 3 spots with the Bernhard /Dumas/Rockenfeller entry claiming the top tier of the podium. The Audi set a new distance record of 3,362.19 miles. "To come here and drive for a factory team like Audi with such a long history of victories - now nine in the last 11 years - is something special to be here as a driver," Bernhard said. 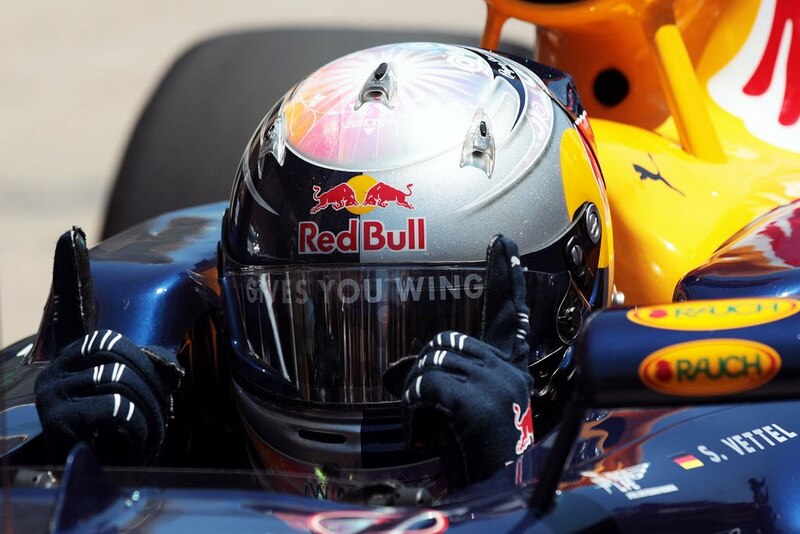 "I felt very strong team spirit from the beginning of the weekend. We shared every bit of information and improved the car. It was a combined team effort and we put it all together. All three cars ran perfectly." Audi has tied Ferrari for the number of manufacturer wins at Le Mans with 9 wins. 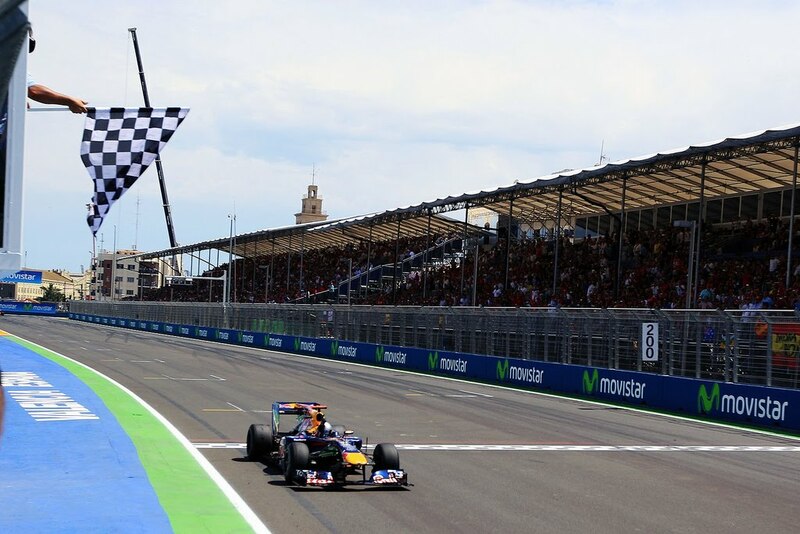 Porsche claims the top spot with 16 wins. GT2 also turned out to be a race of attrition. 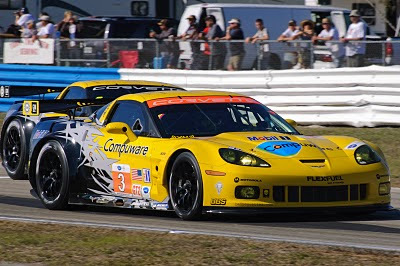 The favorite, Corvette Racing dominated qualifying and much of the race. The #82 Ferrari of Risi Competizione fought the Corvettes in an intense battle but dropped out in the seventh hour with a transmission issue, ending the 6-race winning streak for Ferrari. Running 1 and 2, it appeared to be clear sailing for the American team as BMW was plagued with problems and the venerable Porsche’s did not have the speed necessary to challenge the ‘vettes. But as fate would have it, a little after 7 am, the #63 C6R retired due to an apparent engine failure. "Unfortunately it appears to be an engine failure, our first in 11 years of racing at Le Mans," said Corvette Racing program manager Doug Fehan. "We'll get the car back, take it apart, determine what the problem was, resolve it, and move forward. The engine was running perfectly one minute, and then not perfectly the next. There wasn't any indication leading up to it - no loss of oil pressure, no degradation in performance. The cause could be any number of things, so we'll look into it further before reaching a conclusion." Then, at 8:42 am, an aggressive pass by the first place Peugeot LMP1 car, Emanuel Collard hit the wall in the Porsche curves. Limping the car back to the pits, the Corvette Racing crew was able to repair the damage, including replacement of the gearbox and clutch, and return the car to the track in an amazing 31 minutes and in 6th place. Amazingly enough, Oliver Gavin turned the fastest lap of the event - even faster than his qualifying run - following the repairs. But at 9:42 am, the second C6R also had to retire due to another apparent engine failure. "The guys fixed the car brilliantly after the crash, and I was able to run my fastest lap of the race with a rebuilt car," Gavin said. "The Corvette Racing team is fantastic, and I literally trust them with my life. I'm impressed with their spirit, guts, and determination to take on everybody. We had the fastest car for 18 hours, but unfortunately it wasn't enough. 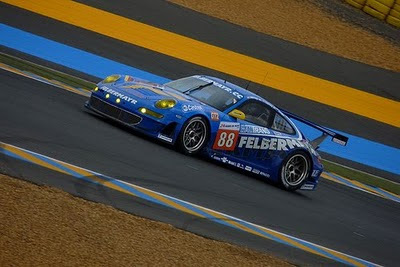 "The retirement of the last C6R paved the way to the podium for the Porsche entry of Felbermayr-Proton. "After two hours, we thought it would be very tough to beat the Ferrari and Corvettes today," driver Henzler said. "We couldn't go the speed, but we pushed from the beginning and treated it like a sprint race. The only thing we could have done was run our own race and stay out of trouble. Finally we had a car which was very reliable with absolutely no problems. We saw what happened to the other cars, and that's how we won the race." JOLIET, IL - With Sunday’s win at Route 66 Raceway, Larry Dixon passed Joe Amato by claiming his 53rd Top Fuel title. “As for Joe Amato, I’m not worthy; that’s all I can say,” said Dixon “He has so many wins and so many championships. To pass guys like ‘Snake’ [Don Prudhomme] and [Don] Garlits, these are all people I looked up to as kids. For a lot of years Joe Amato was the guy. Like I said, I’m not worthy.” After posting a 3.78 in his semifinal win over Doug Kalitta, Dixon returned to stop arch rival Tony Schumacher, 3.773 to 3.823 in the final round. Now Larry sets his sites on Schumachers record of 62 wins. But as “The Sarge” is still racing, Larry has to hit a moving target! 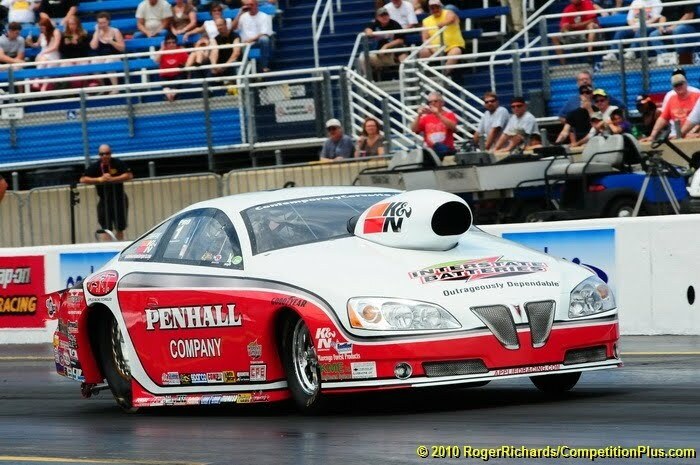 The outcome in Pro-Stock was not necessarily surprising, but Mike Edwards had to work hard in the final round. Edwards was No. 1 qualifier with 3 6.60 runs in eliminations. Paired against Jason Line in the final round, Edwards lagged off the light with a near perfect .007 sec reaction time against Line’s .006. “The first thing Jason said to me was ‘Man, you were late.’” Edwards was first across the finish line by four-thousandths, 6.594 sec to Line’s 6.599 sec. Line had a better top speed of 208.46mph vs. Mike’s 207.94mph. “What a great way to finish the day” exclaimed Edwards, “We weren’t at our best today, but we managed to pull off another win. It just feels great. To think that I’m having a better year than last is just incredible. I can’t believe what is taking place. It is all very humbling to me.” Mike has won an amazing six of the season’s first 10 events, while surpassing last year’s victory total of five. 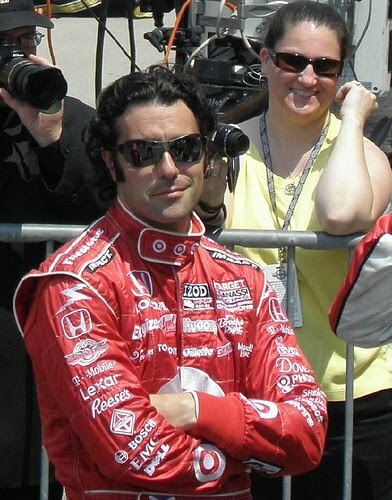 INDIANAPOLIS, IN – Dario Franchitti wins his second Indy 500 race and the fourth for team owner Chip Gannassi. After the championship win with Andretti-Green Racing in 2007, Dario signed with Ganassi to explore the realm of stock cars. After suffering a broken ankle in an unfortunate accident in a Nationwide series race, and lack of sponsors for the car, the effort was ended in June. It turned out to be a stroke of luck when Ganassi driver Dan Wheldon departed to Panther Racing giving Dario a shot at his seat. The rest is now history. Starting from 10th position with a strong car, Dario was able to claim the lead from pole sitter Helio Castroneves by the end of the first lap and went on to lead 155 of 200 laps. "Congrats to Dario. What an awesome car he had. 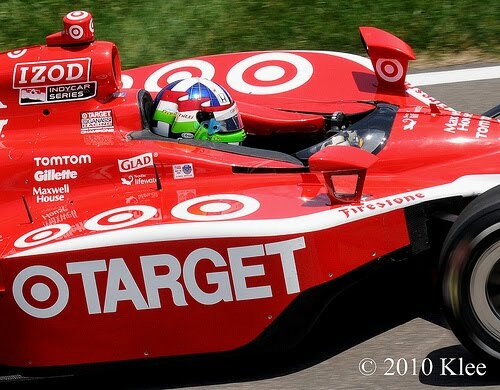 Ganassi did an incredible job to put him up there. It was the car to beat today. We tried. Unfortunately, silly mistakes put us in the back. I’m very disappointed. I’m more disappointed with the mistake. Certainly, I am very upset for my guys. They did an incredible job the whole month long. They should walk out of here with their heads high,” commented Castroneves on Dario’s performance.